Abkhaz opposition leader Raul Hajimba has won in the country’s early presidential election with about 50 percent of votes, preliminary results say. 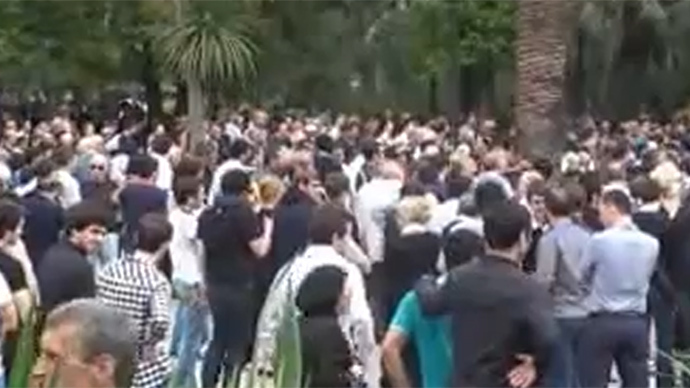 The poll was held in Abkhazia after the previous head of state resigned following anti-government protests. According to preliminary data announced by Abkhazia’s Central Election Commission, Hajimba is winning with 50.57 percent of votes and is followed by Aslan Bzhania, who garnered just under 36 percent of votes. 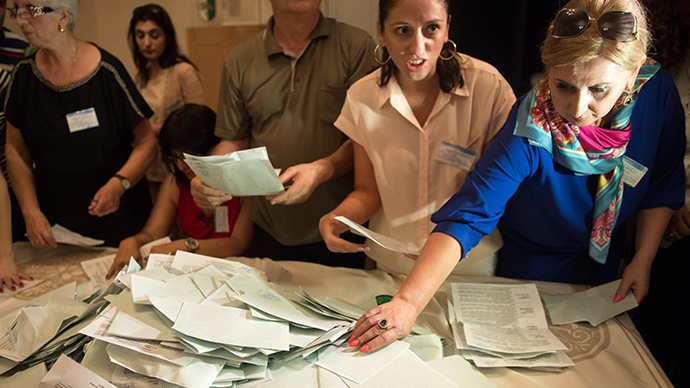 130,000 people or up to 70 percent of voters took part in the snap election, according to the Commission. A 50 percent turnout was required for the voting to be recognized as valid. There were four candidates fighting for the presidential post: Security Service chair Aslan Bzhania, former Interior Minister Leonid Dzapshba, Defense Minister Merab Kishmaria and opposition leader Raul Hajimba. Three polling stations were opened for Abkhazian citizens in Russia’s Moscow and Cherkessk and Turkey's Istanbul. Polling stations closed at 20:00 local time (16:00 GMT) and first official results were expected to be known by noon on Monday. Earlier, all the candidates signed an agreement to reform the Abkhazian political system. Under the document, the republic’s executive power will be formed based on a coalition including professionals from different political parties and candidates’ supporters. The move is aimed at easing political tensions in the country of about 250,000 people. All the four candidates said they would develop ties with Russia, which they want to see as the nation’s key economic partner. 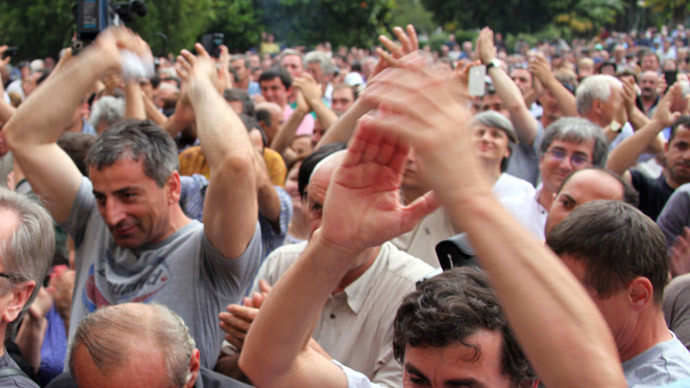 Aleksandr Ankvab, the previous president of the small nation on the Black Sea coast, stepped down on June 1 following days of anti-government protests as opposition demands for reforms. On May 29, the republic’s lawmakers passed a vote of no confidence on Prime Minister Leonid Lakerbaia and urged Ankvab to resign voluntarily. The situation in the partially-recognized republic escalated as several thousand protesters took to streets in the capital Sukhum in May. Demonstrators blamed authorities for alleged misrule, corruption, and stagnation in the country and demanded the resignation of the president, the government, the prosecutor general, and the heads of two regions. Ankvab was elected president of the coastal republic in 2011, having earlier served as the region’s premier and interior minister. Throughout his political career, he has survived several assassination attempts and has been wounded twice. Russia officially recognized the independence of Abkhazia and neighboring South Ossetia in August 2008, shortly after the so-called “Five-Day War” which started after Georgia attacked the South Ossetian city of Tskhinval.